Mages and familiars will never change. The wands had several upgrades though. 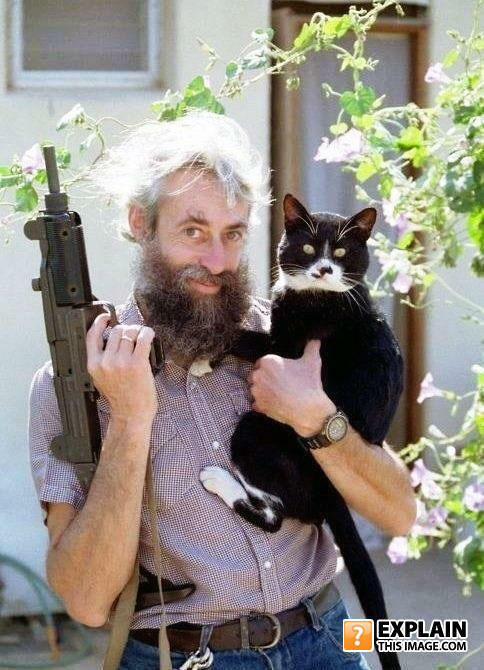 Bond villain Ernst Stavros Blofeld character resurrected yet again for forthcoming 007 film: "Thunderball 2: Forget diamonds, you get to live not just twice but forever in Bond films"
Guns and p***y, what more you need? Join the mob, or pet kitties?? ?, Join the mob, or pet kitties ??? someone should check this guy's bacement for hitch hikers. "...so, my cat pooped in your garden... what of it?..." Still wanna steal the milk of my cat? hmmmm...? hmmmm...?! TRY ME! I don't know what's more threatening. Him, the gun, or the cat. Look kitty, the neighbour cat will never be mean to you again. I heard you offended my p*ssy. Get your own, bish. I know my daugther is a cat... You're still gonna marry her. And this is how I heard my goats. Being married: shirt in pants, disabled gun, hairy fatty in your arms. Don't **** with my *****. "Thsufferin Thuccotash! You didn't have to over do it!"